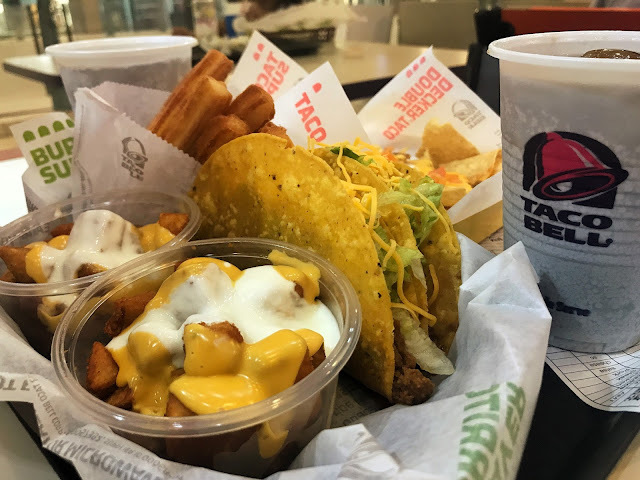 Would you believe me if I tell you that I've never been to Taco Bell before? 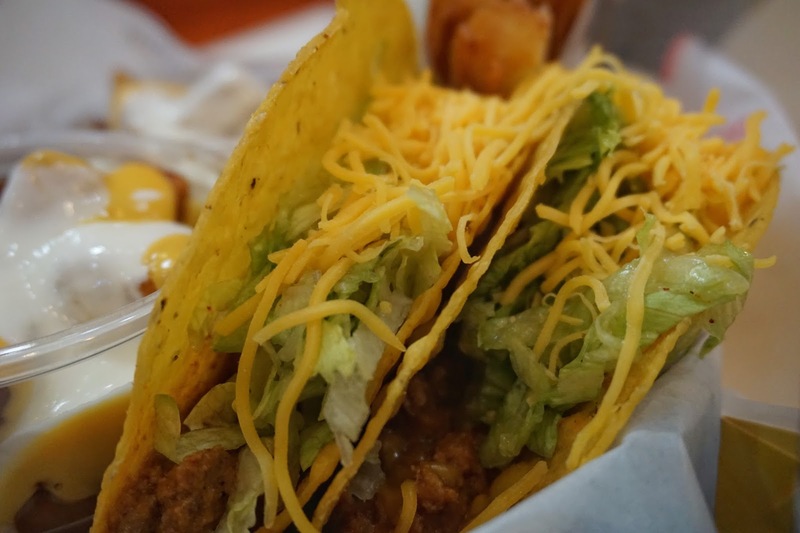 Well, aside from it having few branches in Manila, I'm always more inclined to visit a non-fast food Mexican joint for my taco fix. I'd find myself just walk past its purple and yellow facade without any second thought. But last week was different. I was at Trinoma last week for the opening of my favorite yogurt, llaollao. I came in a bit too early for the VIP party so I decided to look for a place to have late lunch instead. I was leaning towards getting Turks Shawarma but I bumped into a friend who wanted to go for Taco Bell. Since I've never been to Taco Bell, I figured that it's not a bad idea. We saw this meal for two that includes nachos, fries with sour cream, tacos, churros and drinks priced at less than PHP400. Sweet deal right? I had zero expectations from this American joint as I haven't really heard much about it from my friends as well. 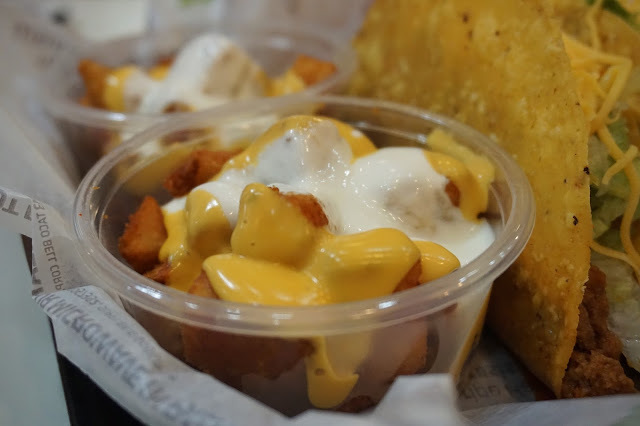 I first tried the fried potatoes topped with sour cream and cheese and it was pretty good! In fact, it was super duper good that I finished it in record time and found myself wanting more. 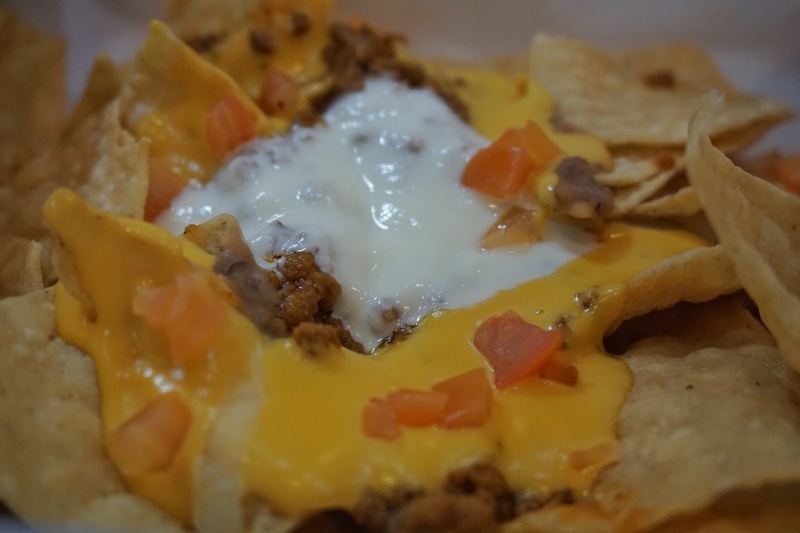 The nachos had a pretty generous serving of cheese and ground beef. It was pretty good too, though definitely not part of my top three. The tacos were very oily and you need a plate for it unless you want to sport an oil stained pair of pants. It was definitely rich in flavor though I felt super guilty indulging in this fattening treat halfway through my taco. The churros was great too. Unlike the other dishes, it was not oily. It also had that lovely crunch. The dip had a nice rich dark chocolate taste perfect with the churros. It was definitely a great first experience at Taco Bell. It somehow made me sad though to know that I've been missing out for years! I should have visited this place a lot sooner. But here's to more Taco Bell visits! 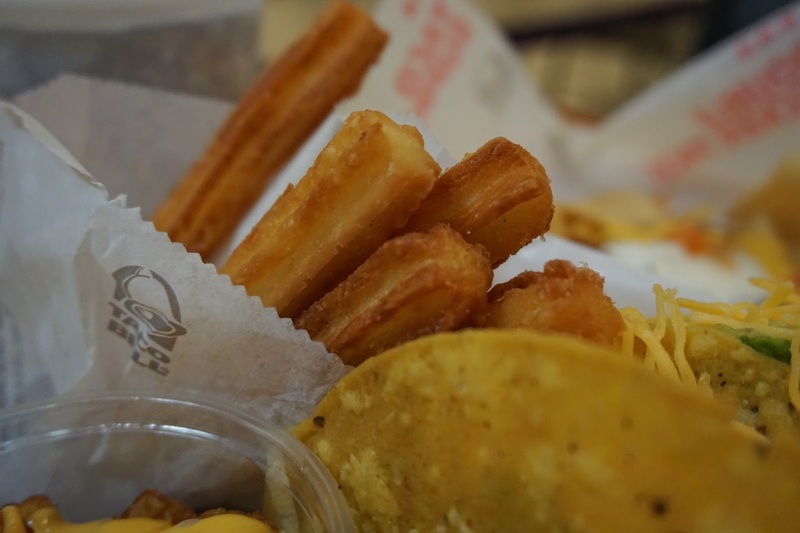 Taco Bell is located at 2nd Floor, Trinoma Mall, Quezon City.